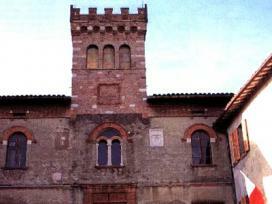 San Venanzo, in the middle of a region characterized by extended wood areas and green plains (to be mentioned the near Monte Peglia), like a large part of the villages of the Orvietano region, finds its origins during the Etruscan period. In 1200 it suffers the annexation to the territories of the near Orvieto; the biggest architectural development, characterized by an imposing system of towers and castles, takes place during the Middle Age. Rural and wood center of first importance, it has developed in the last years a flourishing handicraft activity, very active in the area of the terracotta.